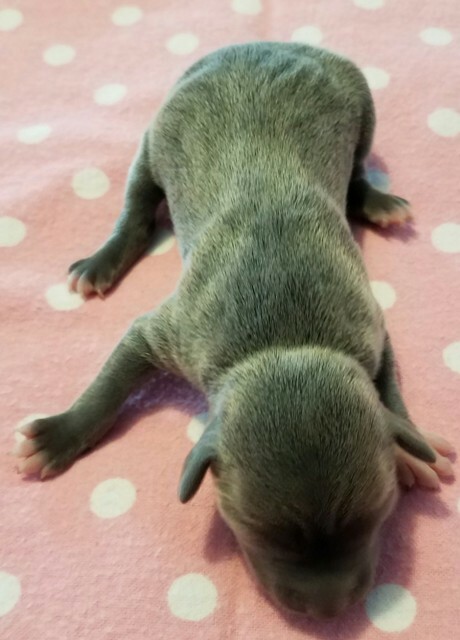 NOTICE: Sometimes we, or one of our dog savvy friends or relatives, can deliver puppies to their new homes for a fee, If we can deliver more than one puppy on a trip we can split the costs of delivering the puppies and the price will be considerably less than if we have to make a special trip to meet you. Check below to see if any upcoming trips might work to bring your new puppy home! Please remember you are also welcome to come here and meet the puppies and their parents if time and distance allows! 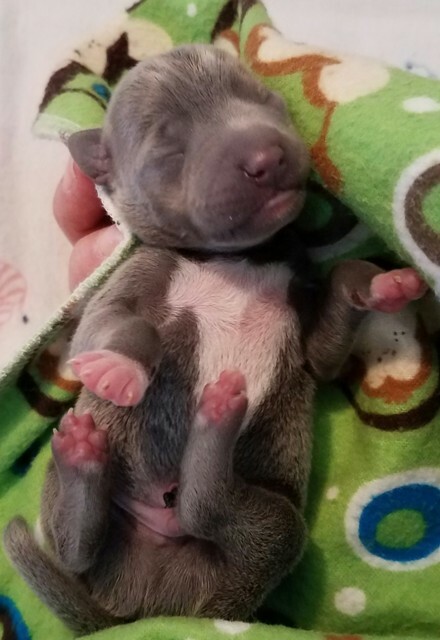 If you would like your puppy delivered to you, we have personal delivery options available at very reasonable rates and on a regular basis to Upstate NY and to eastern PA. Delivery is available to cities such as Albany, Syracuse, and Binghamton, NY and Scranton and Allentown, PA, etc. and surrounding areas. If you would like your puppy delivered to another area, please let us know and we'll see what we can do. Has your rat terrier developed Glaucoma? If so, please read here: What is Primary Lens Luxation? The puppies are listed in order of their age. 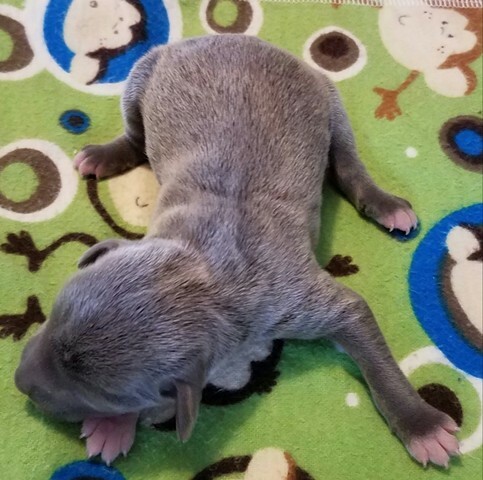 Scroll down to see the younger puppies if that is what you are interested in. 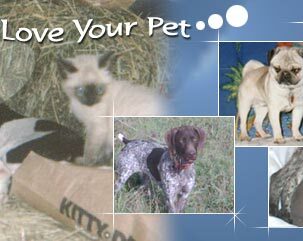 Below the puppy listings there is more information on puppy transport, our deposit policies, etc. Unless otherwise noted all the puppies listed on this page are owned by Hall's Kennel. We welcome questions and are happy to help in any way we can. Thank-you for visiting and enjoy your visit to our website!!! Chocolate tri Male, Price reduced! $500 with limited AKC papers, $700 with full AKC papers. This puppy has a docked tail. Red Sable Tuxedo Male, $500 with AKC papers, $700 with Full AKC papers. This puppy should be a top notch personal gun dog as well as excellent companion. She is being raised in our house with our kids and is well socialized as all our puppies are. The sire and dam are both even tempered and are excellent housedogs. They have lots of natural hunting ability. Both parents are OFA certified Cardiac Normal. Both parent's hips are certified by PennHIP. She has had her tail docked and her dewclaws removed. She is micro-chipped, and up-to-date on her shots and is wormed and vet checked as all our puppies are. She comes with a written health guarantee. Go to my GSP page to see pictures and more info on the sire & dam. This puppy has a long tail. 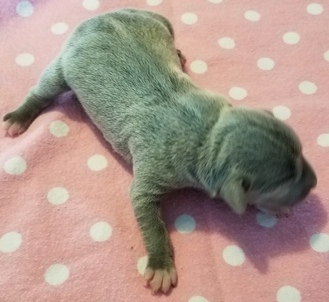 This puppy will likely mature between 8 to 14 lbs. This litter was a surprise. I'm not sure who the daddy is, but I know it's one of Ellen's playmates. I have a good idea which one he is, but without DNA testing them, I can't be sure. This is the first time in 25 years of breeding dogs that I didn't know who the father is. 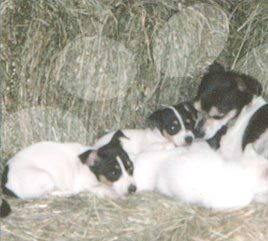 These puppies are purebred Rat Terriers, but they will not come with AKC papers. They will come with all the same shots, microchips, health guarantees, etc that all my puppies do. 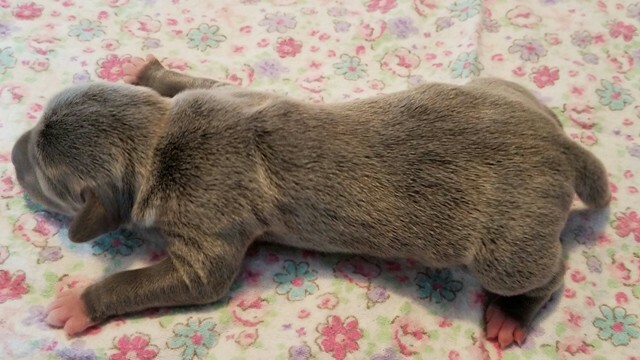 This puppy has a Natural Bobbed tail. Name: Falken AKA Percy SOLD!!! Please note that this litter does NOT belong to Hall's Kennel. Please contact Ezra and Mattie Yoder at ezramattie@gmail.com or call them at 315-955-5643 for more information on these puppies. Please keep in mind that their policies, guarantees, etc may be different than Hall's Kennel. 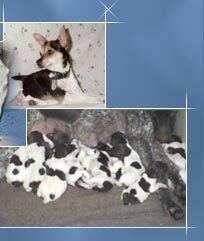 Even though these are not our puppies the parents/grandparents came from Hall's Kennel and these are quality puppies. 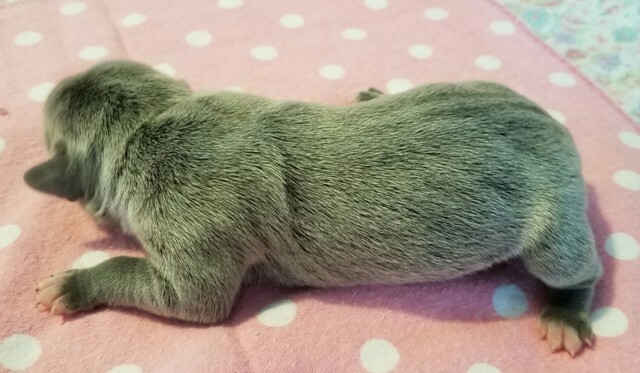 These puppies will likely mature between 12 to 18 lbs. They are PLL clear by parentage. 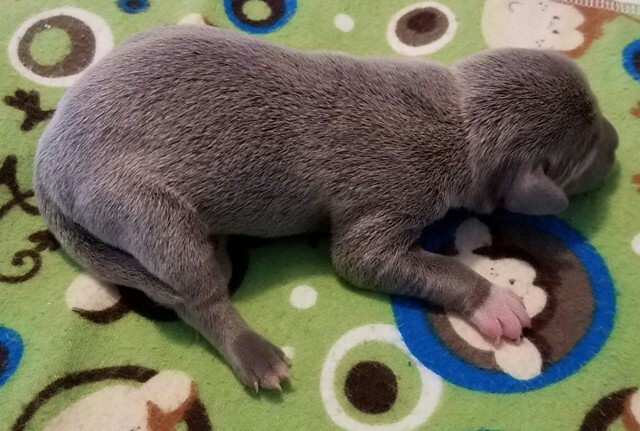 1st Pick Male- ON HOLD!!! 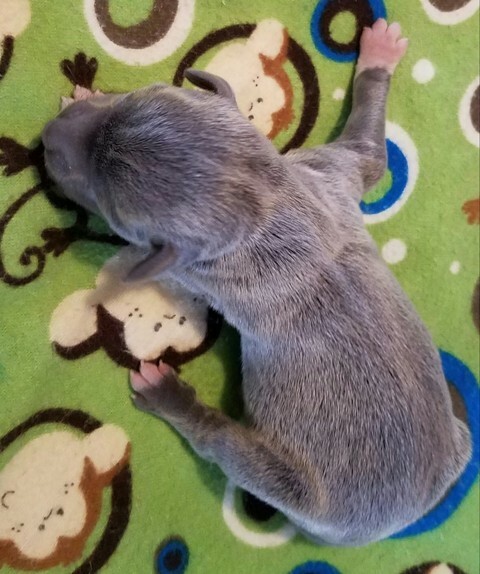 2nd Pick Male- ON HOLD!!! 1st Pick Female- ON HOLD!!! 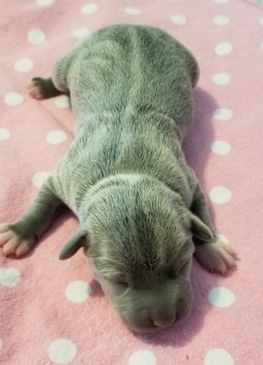 2nd Pick Female- ON HOLD!!! 3rd Pick Female- ON HOLD!!! These puppies should be top notch personal gun dog as well as excellent companions. They are being raised in our house with our kids and are well socialized as all our puppies are. The sire and dam are both even tempered and are excellent housedogs. They have lots of natural hunting ability. Both parents are OFA certified Cardiac Normal. Both parent's hips are certified by PennHIP. They have had their tails docked and their dewclaws removed. 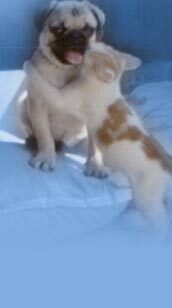 They are micro-chipped, and up-to-date on their shots and are wormed and vet checked as all our puppies are. They come with a written health guarantee. Go to my GSP page to see pictures and more info on the sire & dam. 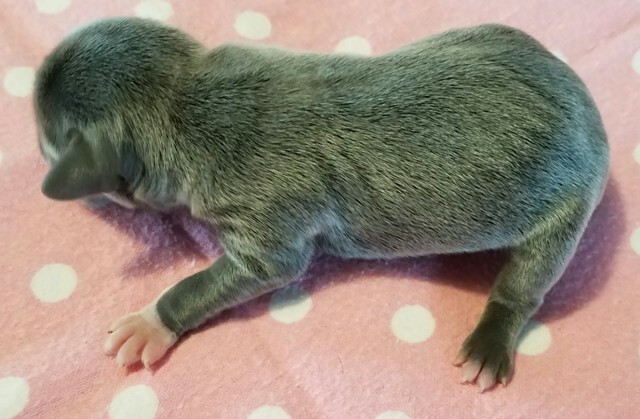 Check back to see updates on these and other litters. 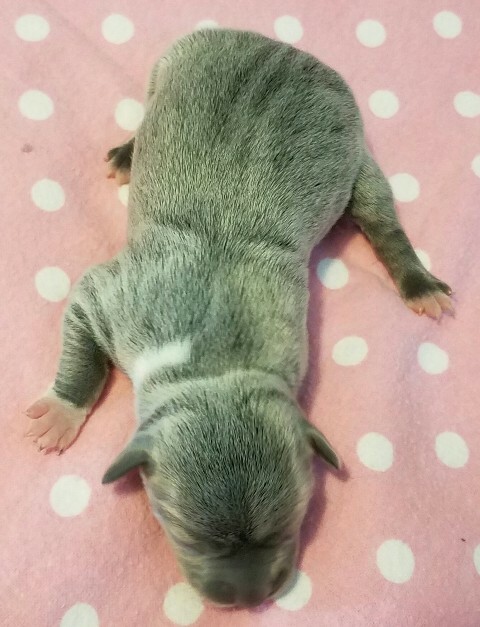 If you would like to reserve a puppy you can contact us about putting a deposit on it. Click here to read our deposit policy. We also except money orders, bank checks, instate personal checks w/ proper ID, & cash. We also accept out of state checks, but only for deposits and only if there is time for the check to clear before the puppy is picked up. 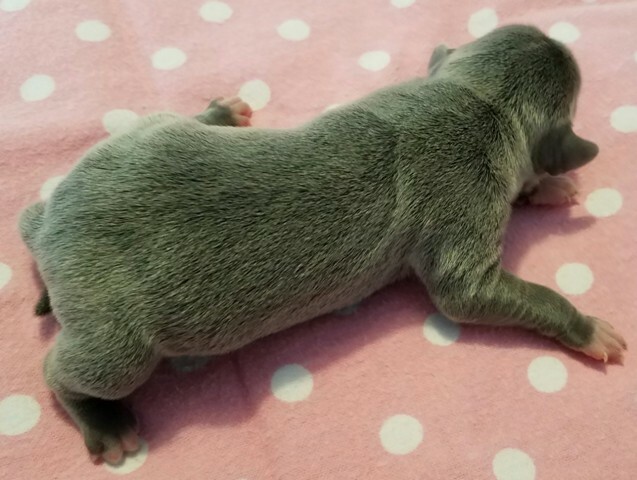 It is the responsibility of the buyer to make arrangements for how they will get their new puppy home. It is ideal when the new puppy owner can pick the puppy up in person which is what most people do. However that is not always possible. Sometimes we do deliver puppies to their new homes for a fee, and in some cases we can arrange for the new puppy to travel to their new home with one of our dog savvy friends or relatives who may be traveling to your area. You can check with us to see if that option is available. One newer option that has been working very well for some people is U-Ship. With U-Ship you can often get excellent rates and top notch service. Checking an individual carrier's reviews is important. If other delivery options aren't available or if you prefer you can have the puppy delivered using the airlines. However due to new USDA regulations we can only ship puppies using the airlines in certain circumstances. We generally charge more to ship using the airlines as we live about a 3 hours drive from the nearest airport that we can ship from, and the cost of transporting the puppy to the airport adds significantly to the cost.